It's Sunday night and I'm doing my prep work for the week ahead. Looking at a lot of charts and most of them look like short setups or they are very near. I only found 1 potential long and that is FSLR but it is a short term trade and they have earnings soon so I won't touch it. 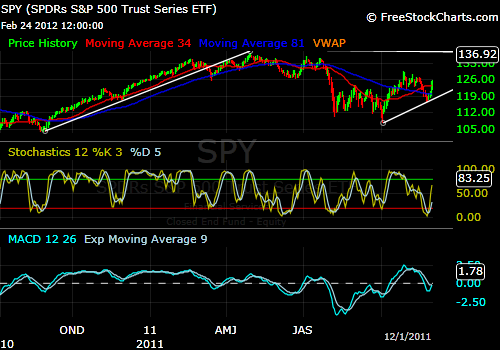 The trend that has been in place since the October 4th low is still intact. 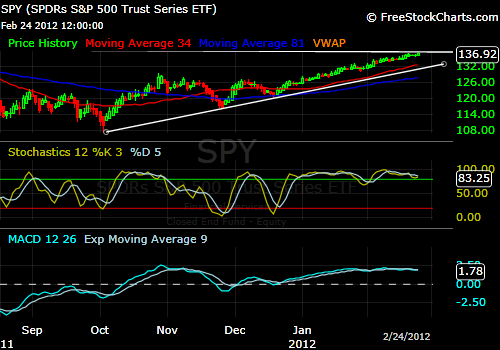 The support for the trend is around 132 in terms of SPY. A break below this could set the stage for bigger concerns down the road. 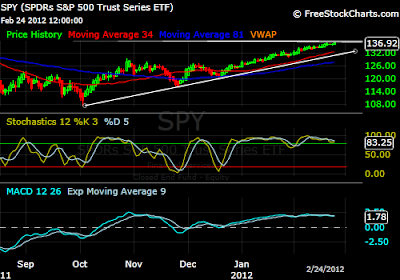 If we break that trend line as we did in March 2011, it set up the selloff that we saw in July. 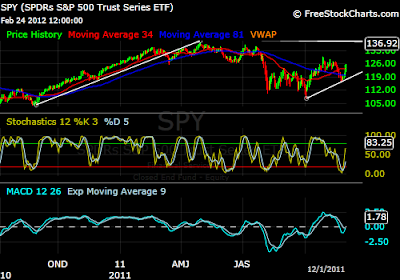 Notice that even though we broke the trend in March 2011 the market did rally to a new high in May 2011. The trend line then acted as resistance.